You can breathe a sigh of relief. Another Panto season has drawn to a close. That sparkly, sequined cavalcade of glittery almost-chaos and irreverent audience-baiting, breathes its last cackle into an empty auditorium fast being readied for the next show. The actors have wiped away their comically rouged cheeks and winged eyeliner, the costumes are packed away, the scenery goes back into storage and you won’t have to “Boo”or “Sing Along” while your kids scream their heads off for another whole year. 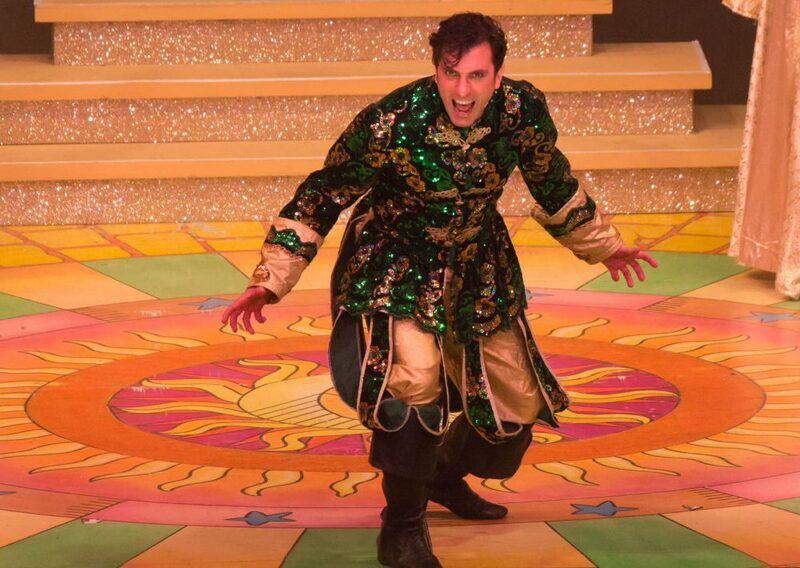 Panto… it’s just mindless silliness, right? Cheap Xmas-cracker jokes, grotesque characters and, sometimes, risqué double entendre. Theatre froth. Nothing of worth. Nothing of meaning. Nothing like corporate life. Surely? So what can we possibly learn from it? What can we take away? Panto, like all theatre, is a momentous occasion – that is, it exists in-the-moment, that moment, right then, and then is gone. It is as ephemeral as a soap-bubble hanging on a breeze. There and then… *pop! not there. And like, every other show it ends with sobbing actors and goodbyes, and wishes that it could go on, and “we’ll definitely keep in touch” and all those other self-medicating phrases people use to try and stay in that moment. Because people almost always want to hang on to these transitory things. Especially when they’re good; when they have brought us joy. We cling to them. We clutch at the memories like hungry ghosts; as if we could store up moments of joy in some vast cave and sit on them; jealously guard them like greedy dragons, bask in their golden glory every day and never have to relinquish their magic. Like a business that’s “always done things this way” but somehow is sinking under the weight of change. Of course, the truth is… everything has its season. We are finite, linear creatures. We cannot capture a moment any more than we can hold back a river with wishing. And so perhaps, Panto’s greatest lessons come from its oldest routine: “The Ghost Gag” – you know the one: “Remember boys and girls, if you do see a ghost (gorilla etc. etc.) you will tell us, won’t you?” (Yes!!!) *ghost appears upstage (Audience scream: It’s behind you!!!) And the characters parade around the stage but always looking forward (Audience scream louder: It’s behind you!!!) and so on. “It’s behind you.” Can be good advice. Like those sobbing “luvvies”, learn to let it go. Don’t try and cling on to something that was, it’s in the past. Look forward to what’s coming. But similarly… recognize, sometimes it is worth glancing backwards at what’s lurking there. An appreciation of the “ghost” behind you, of what has gone before, without trying to recreate it but letting it inform your forward trajectory, can inspire fresh thinking built on foundations of solid experience. So perhaps your trip to the theatre wasn’t just a seasonal jolly with the kids after all. But don’t worry… It’s behind you!